Legalese 101 is our running series aimed at helping you understand key terms found in common legal documents. At J. Cutler Law we don’t just want to collect a paycheck, we want to make sure our clients’ legal needs are fully met. A fundamental part of that is ensuring that they completely understand the legal work we do for them. You may have heard people suggest that it’s a good idea to avoid probate court. And it is. But many people don’t understand exactly why. Probate court is the name of the specific court that oversees the way a deceased person’s property is distributed to others. It also covers crucial matters like who will care for any of the deceased’s minor children. So, in the most basic sense, probate court makes sure that your things go to the right people once you die and that your minor children will be properly cared for. That might make you wonder why there’s talk of avoiding it. It doesn’t sound like such a bad thing, right? Although probate court serves an important purpose in many cases, the process of going through probate can be expensive and time consuming for the friends and family you leave behind. 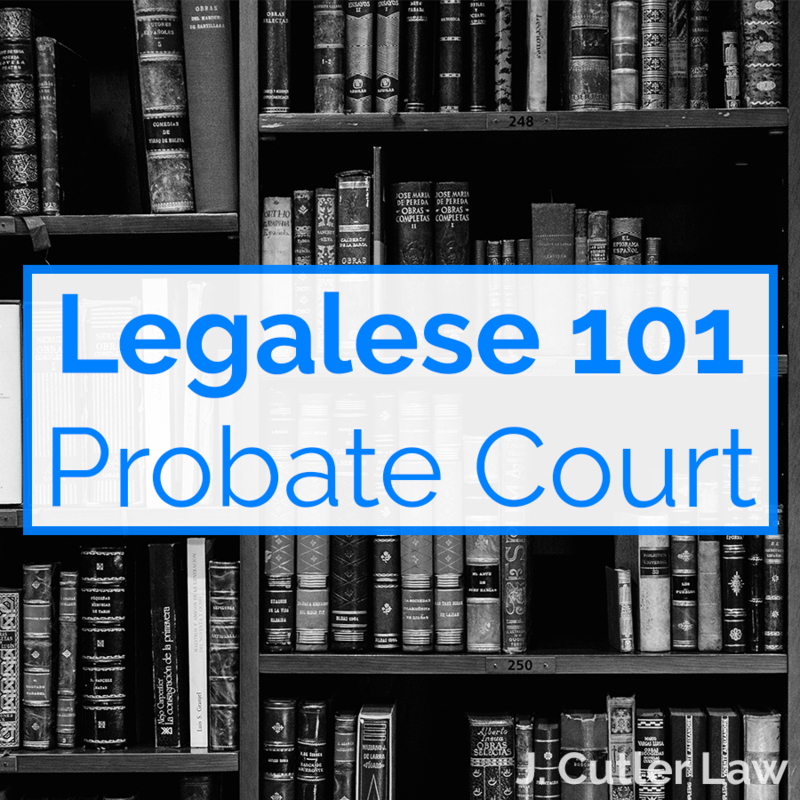 Probate court handles cases responsibly, as you’d expect, but there’s no guarantee that they’ll decide to distribute your possessions, or provide for the care of your minor children, in the way that you would have. The good news is that probate court is avoidable. If you’ve arranged a proper estate estate plan then you can avoid probate and ensure that your children and are cared for by the person you trust and your possessions are given to the correct people. J. Cutler Law is one of Utah’s most trusted estate planning firms and we’d be happy to answer more of your questions and help you arrange the estate planning you need. We can help you outline all of your estate planning options based on your needs and advise on the best course of action. Call us today for a free consultation at (801) 618-4469 or click the appropriate button to schedule a free consultation or begin the estate planning process. “Legalese 101” is a running series aimed at helping you understand key terms found in common legal documents. At J. Cutler Law, we want to make sure our clients’ legal needs are fully met and a fundamental part of that is ensuring that they completely understand the legal work we do for them. A Trust is just an agreement between a trust creator and the person who has legal control of the trust (called a trustee). This is often the same person initially but a successor trustee is usually designated for when the original trustee passes away. A common example would be a married couple that set up a trust (trust creators) and control it initially (trustees) but then designate their oldest child to take control of the trust when they pass away (successor trustee). Upon creation of the trust, the trust creator (also called a Grantor, Trustor, or Settlor) transfers property to the trust by changing title to the property into the legal name of the trust agreement. So, for example, a homeowner would change the ownership of their home from their individual name to the name of the trust. A trust agreement includes instructions to the Trustee regarding the management and control of everything included within the trust property. The Trustee then follows the trust instructions and manages the trust property for the benefit of those that will one day receive the trust property, called Beneficiaries (covered in another Legalese 101). The most common type of trust is a living trust, which simply means a trust agreement whereby the Grantor and Trustee are the same person and the Beneficiaries don’t receive the trust property until the Grantor/Trustee passes away. Interested in creating your will or trust but you don't know where to start? Or perhaps you've been putting off estate planning because it seems like a burdensome task? If you dread the idea of estate planning then, trust us, you are not alone. Many people avoid making proper legal arrangements for their end-of- life desires and assets for as long as possible. While it is certainly understandable – both because there is some work required and the fact that thinking about death is unpleasant for some – this is the type of thing that should not, and need not, be procrastinated. The first step is to have a clear understanding of exactly what estate planning entails. Estate planning is simply the legal specification of your desires for the management of all of your property after your death. Estate planning also often includes provisions for your healthcare if incapacitated before death and the desired arrangements for your body after death. These are decisions you will want to make after giving them proper thought and consideration but just deciding on a course of action is not enough. Unfortunately there are a couple legal hoops that need to be jumped through to make your end-of- life wishes legally binding and enforceable after your death. You will want to consult with a trustworthy attorney in order to arrange your estate planning but below are a few things that everyone should know about the process. 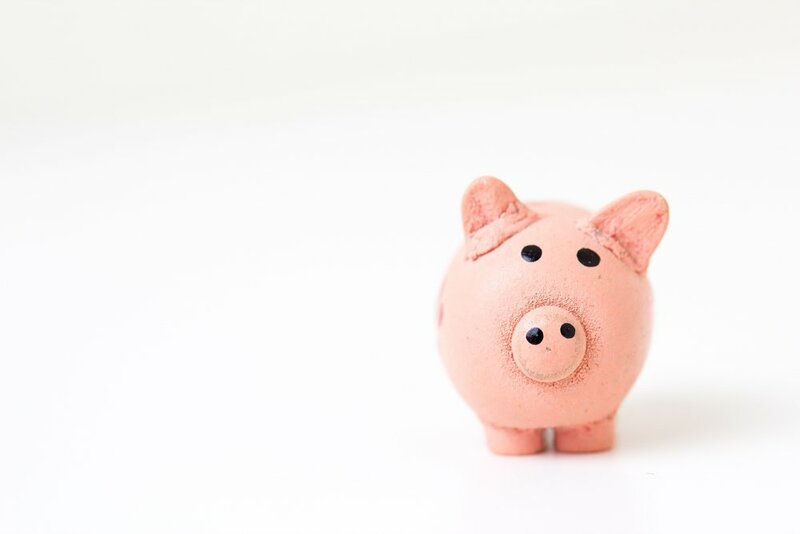 While the term “estate” might leave you inclined to think of estate planning as only necessary for the wealthy it is, in fact, not a matter of wealth at all. You don’t need to live in Wayne Manor to have what is legally considered an estate. By legal definition, your estate is just the umbrella term for all the property and assets that you own. This extends beyond just homes, cars, and jewelry to other intangible property such as bank accounts and insurance policies. With this understanding in mind, you can see that you don’t need to be of retirement age for estate planning to make sense. If you own property and would like to have a say in what happens to it when you die then you will want to tackle your own estate planning sooner rather than later. Without legally binding estate planning, your end-of- life circumstances (both in terms of property and your own healthcare/burial matters) will be left to the whims of local laws, relatives, and doctors. No two estates are the same so no two estate planning processes are the same either. In some cases the transferal of property is simple and clear and requires just a few pages of legal documentation. In most cases, however, arranging who gets what and when they will get it requires a number of different legal documents. In addition to a declaration of what property goes to what person, you also want to consider aspects such as legal guardianship of dependent children, who will act as your agent in making decisions after your death, and how to handle any outstanding debts and taxes. The most basic and essential document is a will but most people also find it necessary to set up a trust in order to legally arrange for a person (or people) to have the right to manage all or some of your assets upon your death without going through probate court (which is costly and time-consuming). Trusts can be set up as revocable or irrevocable, with the former meaning that it can be amended down the road if you so desire and the latter meaning that once finalized it cannot be changed. Wills and trusts are just two of the most crucial documents needed to properly arrange for your wishes to be carried out after your death. Depending on your circumstance, there may be other estate planning documents that you need and you will certainly want to consult with an attorney in that process. At J. Cutler Law, we offer free estate planning consultations for you and your family. We handle all the steps of estate planning, can help simplify the process for you, and are available to consult on any stage of the process. Call us today for a free consultation at (801) 618-4469 or contact us online.